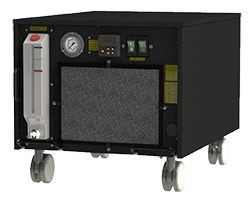 K-O Concepts now offers catalog units with optional PAO compatibility. 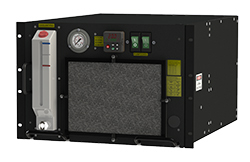 Upgraded military and aerospace PAO chillers have bonded fittings and upgraded PAO compatible crimped hoses. 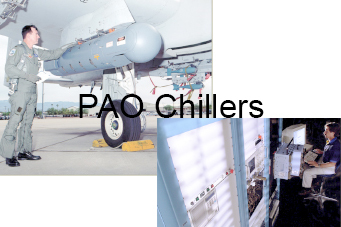 These chillers range 800-3,200 watts of cooling. 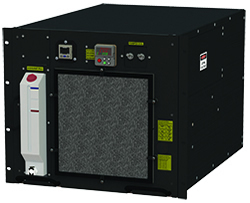 K-O Chillers have a 1 year warranty. 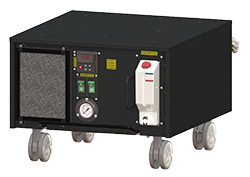 Count on K-O Concepts PAO compatible chillers to be 50% less weight and volume that the competition. As always our models have a stability of 0.1 degrees C and respond quickly to varying loads. K-O Concepts new temperature controllers offer many different communications and an additional communications light lets the customer know the controller is sending data. Options on the controller also include 2-6 DIO alarms, which can be set to monitor low flow and low level. 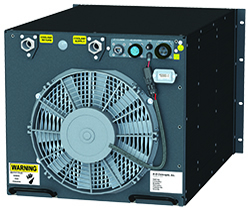 Our all new DMC-15/-20-DC runs on 28 VDC airplane power and is built for the aerospace industry. 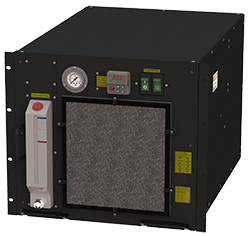 This chiller has 37 degree JIC fittings and stainless steel braided Teflon houses throughout. The DMC-15/-20-DC is also 100% stainless steel. Teflon wiring has also been implemented within this chiller to provide the aerospace industry with a chiller that comes as close to Mil-Spec as possible, without breaking the bank. 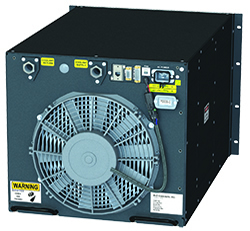 Standard catalog cooling units are available within 4 weeks. Have the most advanced temperature control unit on the market and maintain an eco-friendly foot print by ordering a K-O Concepts unit today.